According to a WSJ report, Facebook intends to leverage its Facebook Connect app to track which applications users have installed on their Smartphones. This data will then be used to serve targeted ads to the user’s News Feed. 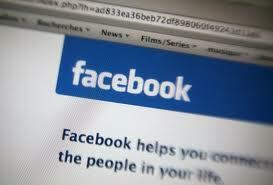 Facebook engineers have devised a way to ascertain which applications users have installed on their Smartphones. And, it looks like Facebook will seize this opportunity to serve ads based on this data. It is estimated that almost half of Facebook’s global users access the social media site using Smartphones. While this presents a huge advertising base, Facebook has not had many options to capitalize on this space. However, that is about to change with the new strategy, which according to insiders is set to go live early next month. As can be expected, various consumer privacy protection organizations have raised concerns over what they deem to be invasion of personal privacy. One organization that has expressed its displeasure with Facebook’s plans is the Center for Democracy and Technology’s project on consumer privacy, through its director Mr. Justin Brookman. Use a dedicated browser just for Facebook, and surf other sites in an entirely different one. Consider using a VPN and browser extensions that keep you from being tracked. Private Wifi and Do Not Track+ are both sponsors of Facecrooks, and they each provide tools to protect your privacy online.